A wonderful location, laid-back luxury, fantastic cooking and service that leaves nothing to be desired, combined with soothing Ayurveda and anti-stress treatments – that’s the holiday awaiting you in one of our three Vivanta by Taj hotels! 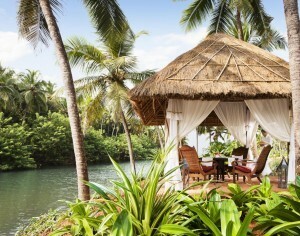 Experience India and Sri Lanka the most luxurious way. We’re delighted to introduce here the three Vivanta by Taj resorts, and lead you into a world full of relaxing amenities! 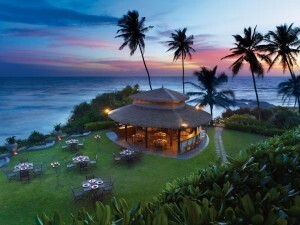 The Vivanta by Taj Bentota hotel is on the west coast of Sri Lanka, overlooking the Indian Ocean. With stunning panoramic ocean views, the hotel offers everything you possibly wish for if you’re looking for a relaxing holiday. The 160 rooms and suites are decorated using natural materials and colours. All rooms have a balcony or terrace. From here you can look out over the sea or enjoy the beautiful resort garden. In the deluxe rooms guests can also enjoy a rain shower. You won’t just want to linger in the tastefully furnished rooms though: the restaurants and the Jiva Spa are ready to pamper guests in every way. A wide range of culinary delights are on offer from the diverse restaurants, where fresh fish dishes, Indian, Chinese and other international cuisine are all on offer. A low-calorie spa diet is also available upon request at the Jiva Spa. Here you’re guaranteed to get your money’s worth. As well as badminton, cricket, table tennis, water skiing and wind-surfing, don’t miss out on exploring your surroundings. The Madu river cruise offers a visit to a real Buddhist temple, taking in fish and cinnamon farms. The UNESCO world heritage site of Galle Fort, just 60km from the hotel, is a must-see. With 71 rooms and suites, perfectly situated between the backwaters and the stunning Kappil beach, the Vivanta by Taj – Bekal hotel in India awaits guests seeking rest and relaxation. Sink into meditation pools or in Turkish baths and forget the world around you in the seclusion of the luxury resort. 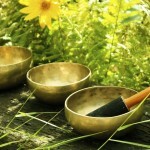 Two qualified Ayurveda doctors and experienced therapists will take care of you in the hotel’s own Ayurveda area. Further relaxation and meditation rooms, ice showers, steam baths, massage rooms and the gorgeous yoga pavilion help provide an unforgettably relaxing holiday experience. Guests are equally spoiled in the restaurants, with options to dine in the multi-cuisine restaurant “Latitude”, a seafood restaurant, a grill restaurant by the pool, or the Satvik lounge in the spa (exclusive for Ayurveda guests). The hotel also offers a cocktail bar and the option for private dining. A special highlight is the private “deluxe delight plunge pool” with outside shower in the deluxe delight room. Had enough of relaxation and lazing around? If you’re feeling the urge to move, the hotel’s own fitness studio is at your disposal. You can also take a trip with head chef Valentine to the fish market in Uduma, and choose your own fish for the evening meal. Or visit the impressive Bekal Fort and learn more about Indian culture and history. Deep within the subtropical rainforest of South Indian, the Vivanta by Taj – Madikeri luxury resort is hidden away. It’s the perfect idyll for an Ayurveda treatments, where you can enjoy rest and relaxation with a panoramic view over the Western Ghats mountain range. 63 comfortably furnished rooms, each with their own rain shower and even an open fireplace in the Deluxe Delight rooms await guests. 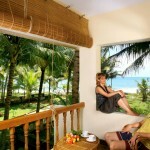 The rooms are spread across freestanding villas, and are designed to fulfil your every requirement. Ayurveda treatments take place in the 2800m² Jiva Grande Spa in the main house. 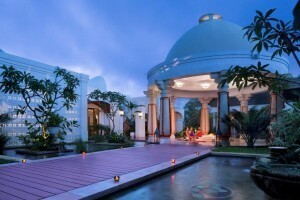 As well as treatment rooms, the spa offers a beauty salon, a yoga and meditation room, sauna, traditional wood-fired Gudda bath, and a heated indoor infinity pool. 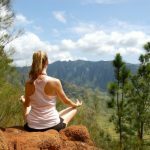 Here, you can easily leave behind the stresses of everyday life and experience pure relaxation. The luxury resort’s exquisite restaurants offer the perfect dining experience. “Dew” restaurant will spoil you with Ayurveda dishes. 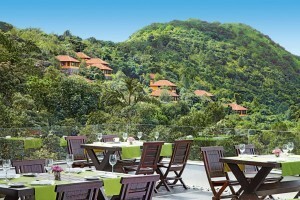 International dishes are served at “Fern Tree” restaurant, while local cuisine is served at “Nellaki”. The bar and grill by the outdoor pool provide guests with further delights. If the urge to move grabs you after days spent relaxing, you can work out in the well-equipped fitness studio. More interested in culture and sightseeing? That’s also no problem. Visit the surrounding strawberry and coffee plantations, observe the huge diversity of bird life and take a trip to Bylakuppe with a Tibetan guide to look around the impressive temples and cloisters.